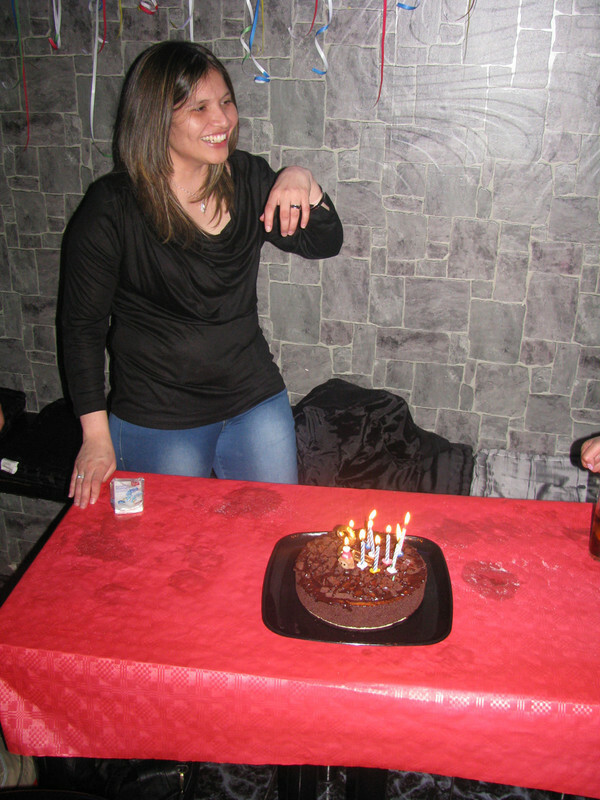 This month we celebrated the birthday of Daniela, a special girl with a big heart, and a good friend. The party was hosted by Doble Sentido bar and we all had a great time. Here are the photos. Este mes celebramos el cumpleaños de Daniela, una niña especial con un gran corazón, y una buena amiga. La fiesta fue organizada para el bar Doble Sentido y todos nos lo pasamos muy bien. Aquí están las fotos. After almost one month passed since my b’day, I brought today the last episode of this 3-cakes-event 🙂 The last cake was a special one, you can clearly see what’s all about, but also the medal gift that came from the girls was a great surprise. Thank you all for making me live one of the best b’days! Enjoy the music and the pictures! Every year I used to celebrate my birthday for a week, but this year, my b’day celebration took 2 weeks! Yea, and a total of 4 cakes (3 in the pictures). Not to mention the drinks and the gifts! The first celebration was at home, right on the b’day, then, the second and the third celebration took place in Doble, with our best friends. Let’s see the second Doble celebration. Due to the high amount of pictures, I will split this in two or three distinctive parts. Enjoy my 2 weeks b’day!